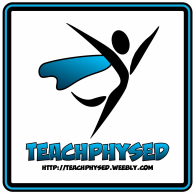 This program is a great way to quickly assess students using cards that are like QR codes. You setup your account online, create classes, create multiple choice or true false questions, print out the cards and then can use the app to scan the students answers. Check out the tutorial I put together below! I suggest you also check out Adam Llevo's blog where he has written an awesome post covering the program as well. 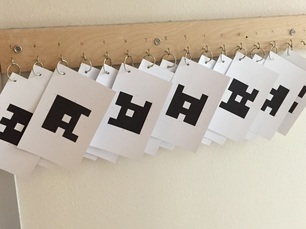 Once you start using Plickers it will be hard to stop. The students really enjoying using this system. When you start scanning the cards you will be shocked how far you can be from the cards when scanning and how many cards it can read at one time. The company is always looking for new things to add to the program which some of us are really getting excited about. Don't just take my word for it, go open an account and try it for yourself. I know you are thinking "Great love the idea but how to I store or organize the cards?" Below you will find a collection of ways others have stored their Plicker cards. Feel free to steal the idea or combine some of the ideas to create your own. If you have a great way to store your Plickers cards please let me know and I would love to add it to my collection below. 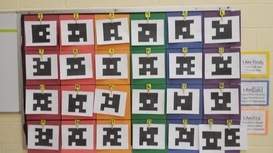 This is another way you can display your Plickers cards. Kevin Tiller has used a classroom sentence pocket chart and cut down the cards to allow them to fit perfectly in the slots. You may be able to get your hands on a classroom teacher's pocket sentence chart that they are no longer using. 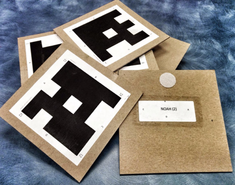 Once again thanks to Kevin Tiller for finding this wonderful way to make your Plickers cards more sturdy. You can glue or tape the cards to some particle board to help the cards last longer. The person who made these cards also added the ABCD sides to the back to help eliminate confusion with the students on which side to hold to answer the questions. I have noticed my Plicker cards have started getting a little beat up. I got a crazy idea from the picture above. Instead of hanging my cards on a ring, I'm going to put them on a small clipboard and then hang the clipboard on the hooks outside my gym. To help prevent the paper from flying around, I also taped down the sides of the Plicker card. Can you tell I really enjoy using Plickers! Here is yet another great idea of how to store your Plicker cards. I don't remember who I got the picture from, so if it looks familiar please let me know so I can give credit for who came up with the idea. This great design comes from Stephanie Klaffke. She attached the numbers to clothes pins and used the clothes pins to hold the cards. What a great idea and use of resources. The numbers are very clear so the students can find their cards quickly. Erin Moore came up with the great storage solution for her cards. She told me she needed a way to make it mobile and she was successful at creating it. It's very clear for her students to be able to locate their card when they need it for her class. Now the cards can be taken anywhere quickly! Saw this great idea on Twitter from Marcus Down. 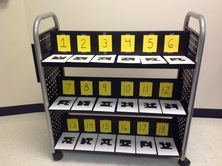 He took on old book cart that a classroom teacher was getting rid of and turned it into is own Plickers cart. I like how every thing looks very clean and clearly labeled. This idea comes from Carrie Beauchamp who posted it in out Voxer Plickers group. She came up with a fantastic idea of how to display the cards in an outside area. If you are looking for a way to incorporate Plickers to your class but don't have a gym, hit her up with some questions. Here is another way to display your cards. Do you have a magnetic area in your gym not being used? Take some clothes pins and tack a magnet to the back and you have created a similar display. You could also use magnetic clips that can be purchased from any office supply store. Here is another fantastic idea of how to store the cards. Thanks to Jeff Bartlett for sharing this idea with everyone in the Voxer group last week. He has his students hang the cards using a clothes pin and as you can see the cards are well laid out. Students will have an easy time finding their card with this system.